If you're planning to work on the door of your Holden VY Commodore, you'll first need to remove the window handles. Most of the elements in the door--like the driver's-side mirror, locks and door trim--can't be removed without the winder first being removed. Luckily, removing the window handle is relatively simple, once you've located the spring clip. Find the clip. The door handle is held in place by a small clip, which is slightly recessed inside the door trim. The door trim must be pushed in for the clip to be seen. Remove the clip with a handle-removing hook tool. (They can be purchased online or at most auto-parts stores. If you don't want to buy a tool, you can use a piece of welding wire.) Push the door trim in until you see the spring clip. Use the tool to hook the clip (it simply slides out of place) and pull it off. Remove the clip with welding wire. Bend the welding wire so you have a loop on the end. The loop will act as the hook to remove the spring clip. Follow the same instructions from Step 3 when using welding wire as a tool as well. If the door trim is too hard for you to push with your hand, use a screwdriver or another heavy tool to push it in. The Holden VY Commodore was manufactured by General Motors from 2002 to 2004. 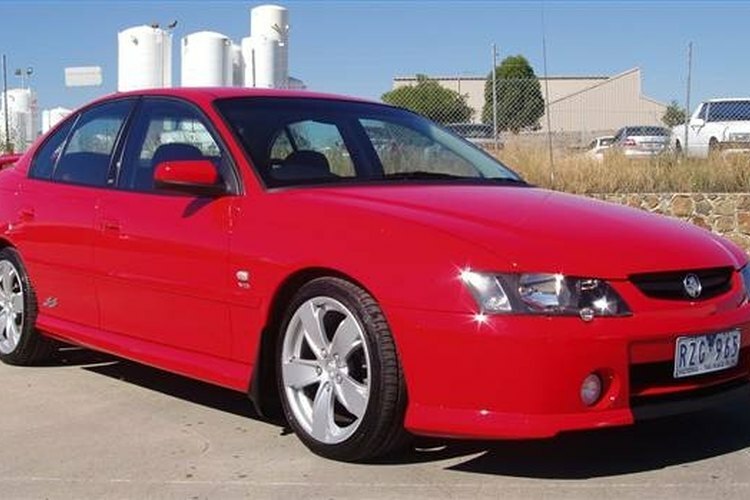 The VY Commodore is also called the Chevrolet Lumina and Chevrolet Omega. Based in New York, Jillian Downer has been writing travel, fashion, and active lifestyle articles since 2004. Her work has appeared in "Travel + Leisure," "Outside Magazine," "Women's Health," "Footwear News," and "US News & World Report." Downer holds a Master of Arts in comparative literature from New York University.